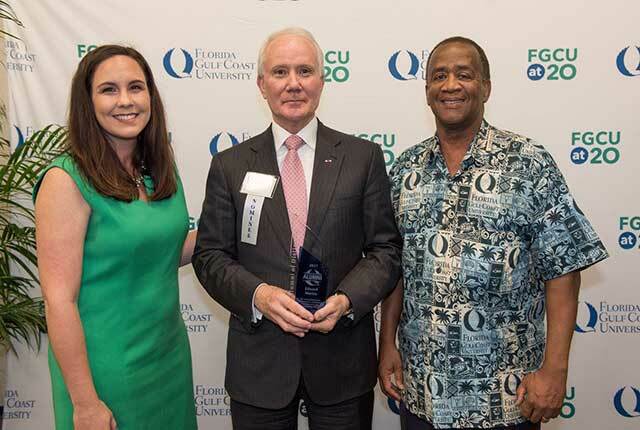 Edward A. Morton with Alumni Association Assistant Director of Programs Angela Kunkle and FGCU President Wilson G. Bradshaw. The Alumni Association honored six outstanding graduates Friday during an awards ceremony held during Alumni Weekend festivities. Edward A. Morton was recognized as the 2017 Alumnus of Distinction. The association’s most prestigious award honors individuals who have distinguished themselves professionally and personally and have demonstrated dedication to serving their communities and their alma mater. Morton, who earned a master’s degree in health science from FGCU in 2009, truly stands out as a model of unparalleled dedication to higher education, to professional leadership and to community service. With three degrees and more than 40 years of experience in the healthcare and financial fields, this Florida native has brought invaluable expertise and insight to numerous organizations as an executive and as a trustee. After serving his country as a captain in the U.S. Army during the Vietnam War, Morton began his career in finance with the NCH Healthcare System. Through his leadership, NCH’s net‐worth doubled from 2000 to 2006, and he retired after serving more than 34 years in several executive positions including CEO. Today, he continues to orchestrate wise strategic planning and business development as a managing director at the wealth management firm Wasmer, Schroeder & Company. 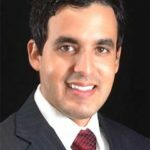 Even as he experienced considerable success in the professional world, Morton continued to value and pursue education, earning a master’s in health science at FGCU in 2009. Through the years, he has tirelessly supported the university, serving on the FGCU Board of Trustees and the FGCU Foundation Board of Directors, and now as a member of Florida’s Board of Governors. As a member of the Presidential Search Advisory Committee, he also is helping to shape the future direction and development of FGCU. College of Arts and Sciences: Brad Piepenbrink (2008, Communication). He has served as a beacon of leadership and service since first representing the FGCU community in Student Government as an undergrad. 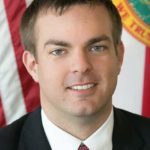 After graduating in four years, this Soaring Eagle ascended a steep career path involving public service and politics that eventually led to a position in the highest office in the State of Florida. As Gov. Rick Scott’s Deputy Chief of Staff, Piepenbrink oversees five state agencies, manages two departments within the governor’s office and contributes to long-term strategy and planning with senior staff. 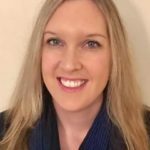 College of Education: Helen Martin (2011, Master’s, Curriculum and Instruction). Her enthusiasm for learning has helped her to excel not only with children in the classroom but with teachers striving to become the best they can be. She earned bachelor’s and master’s degrees at FGCU before going on to receive her doctorate at the University of Florida. Martin’s leadership in coordinating a multi-million-dollar federal Teacher Incentive Fund earned the Lee County school district recognition from the U.S. Department of Education. She continues to give back, serving on the steering committee of FGCU’s annual Children and Youth Conference. 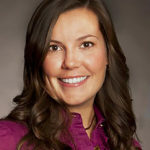 Lutgert College of Business: Kelsey Griffin (2011, Master’s, Accounting and Taxation). She serves as a leader among professional peers and as a mentor for FGCU students looking toward a future in her field. She also was integral in launching Leadership NEXT, a group that encourages young professionals to network and enhance their experiences. Last year, Griffin was recognized as one of the Florida Institute of Certified Public Accountants’ “26 Under 36” — members who have distinguished themselves through service. College of Health Professions and Social Work: Jeremy Howard (2015, Athletic Training). A former professor chose the words “perseverance, commitment and passion” to describe this honoree, who faced more than the usual undergraduate challenges earning a degree. This Soaring Eagle had to put studies on hold during multiple deployments in the United States Army National Guard. Committed to achieving fitness in the personal and professional realms, he’s now a licensed athletic trainer overseeing 107 athletes at Ave Maria University. Howard still finds time to devote hours to organizations such as Fit Nation, the American Cancer Society and FGCU’s Sports Medicine Club. U.A. Whitaker College of Engineering: Andres Boral (2011, Civil Engineering). He embodies FGCU’s mission to instill entrepreneurial spirit in its graduates. 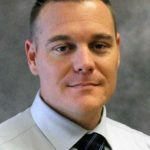 In the last four years, he earned bachelor’s and master’s degrees at FGCU, became a state-registered professional engineer and launched his company to provide responsive engineering and design services to residential and commercial clients throughout the state. Boral launched a separate division of his business to help nonprofit organizations, and continues to give back to the community by volunteering with organizations such as Collier County Habitat for Humanity, Lee County Coalition Against Hunger and Salvation Army. The FGCU Alumni Association is dedicated to engaging graduates in a lifelong allegiance with FGCU and fellow alumni, cultivating opportunities for personal and professional growth after graduation, celebrating pride in the principles and achievements of FGCU and its graduates and inspiring individual investment in the university’s future.